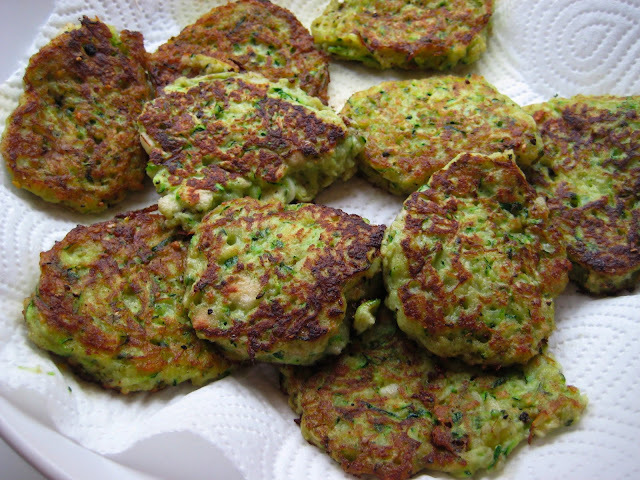 I had made zucchini/courgette fritters (small pancakes) once before, and today I really felt like having them for lunch. I had some zucchinis in my fridge and improvised the remaining ingredients. It's super simple, quite healthy and really tasty! Normally, you would add some herbs like parsley and chives to the mixture to make it more flavourfull, but I was too lazy to go to the store. 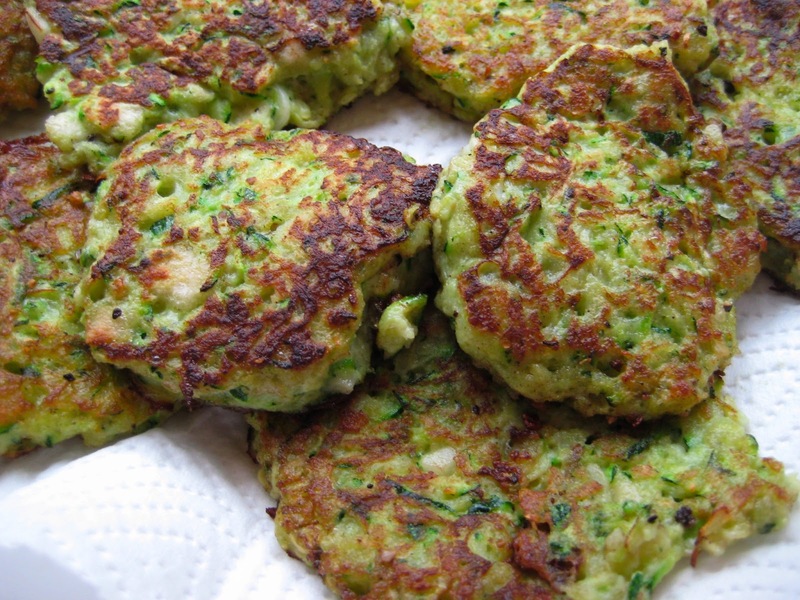 Most zucchini fritters recipes are a little more elaborate (squeezing out the juice from the grated zucchini in a towel etc. ), but I found that these taste just as good and take only 10 minutes to make. Grate the whole zucchini (with skin on) and mix it with the egg, bread crumbs, garlic and add salt and pepper to your taste. Mix well. If the mixture seems very runny, add some more breadcrumbs. Take a large pan, put it on medium/high heat and add some olive oil. Take a spoon and drop some heaps of the mixture into the pan and pat it a little bit to flatten it. Flip them after one minute (make sure the fritters don't burn!) and keep flipping until they have nicely browned. You might have to do this in two or three batches. Squeeze some fresh lemon juice on the fritters and you're ready to go! That was easy right? It's great as a side, on its own or a little snack during the day. Enjoy your zucchini fritters!